A fresh take on a classic heart quilt. These little heart message bubbles are inspired by getting a text from a loved one. It is block based, beginner friendly and finishes at 55in x 61in. 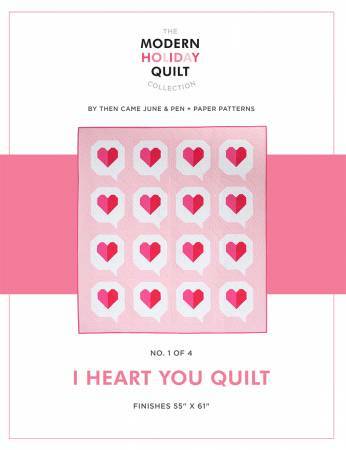 This design is a collaboration between Then Came June and Pen + Paper Patterns.